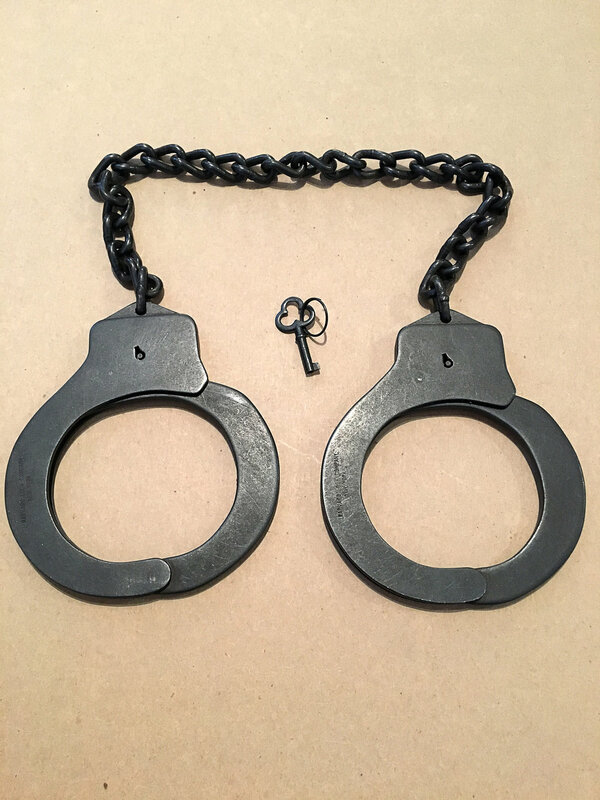 Harvard Leg Irons New In Box w/ key. Boxed stamped US Navy insignia indicating it to be sold as surplus. 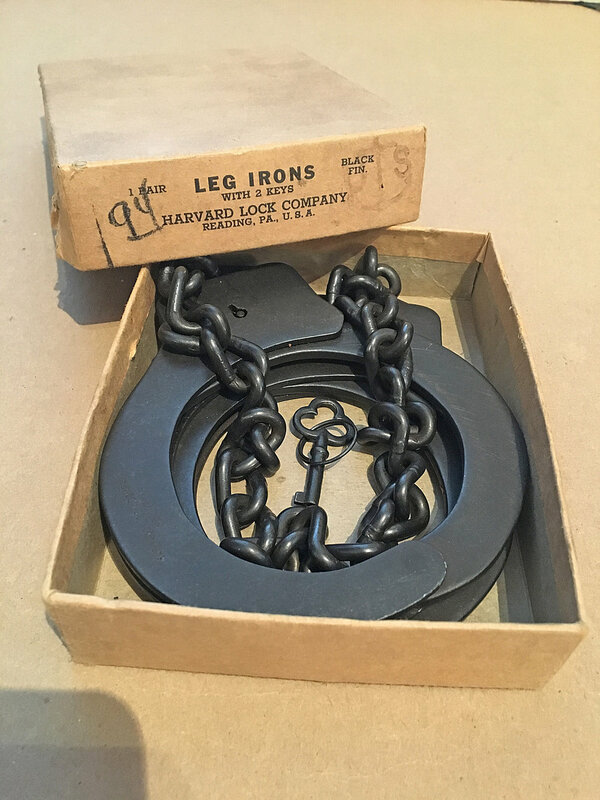 This is a wonderful example of old WW2 vintage Leg Irons as made for the US Navy by Harvard Lock Company. This is a rare hard to find item in it’s original 70 plus years old box. The Leg Irons are in excellent plus working condition, they have a few surface rust areas which is to be expected with the age. The Leg Irons come with an original key and work perfectly. Hey, know someone who might be interested? please forward to them.